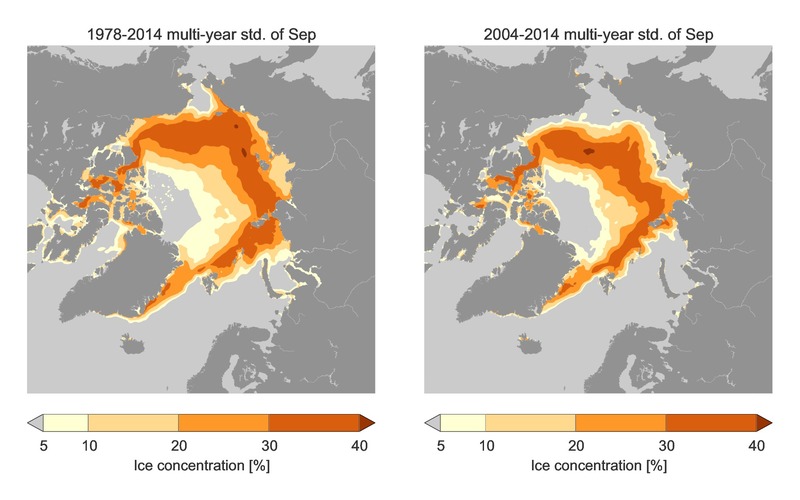 These maps show monthly variation (standard deviation) sea ice concentration. Ice concentration is defined as the fractor of the sea surface which is covered by ice, where 100% corresponds to a complete ice cover and 0% corresponds to open waters. These maps are based on data from American satelites during the period from 1978 to 2014, which have been re-processed by by the European project: EUMETSAT OSI SAF. 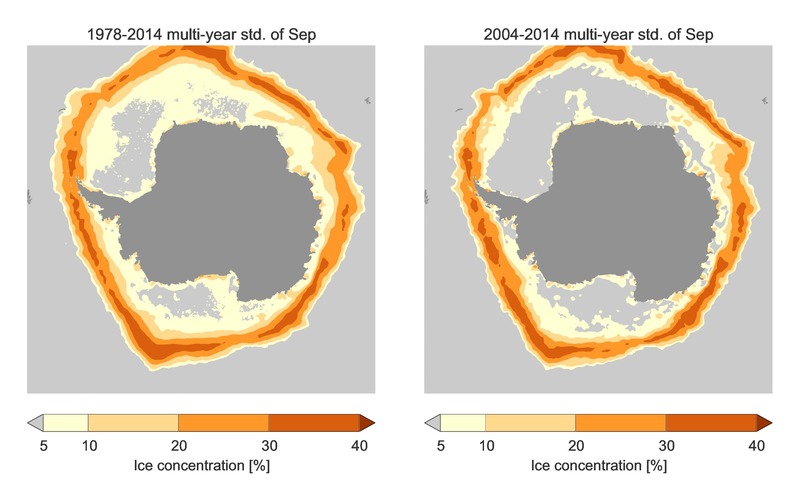 The sea ice typically reaches its maximum extent during March, extending approximately 14-16 million square kilometers, and its minimum extent by the end of september, which in the 1980's was approximately 7 million square kilometers compared to today's 3-5 million square kilometers. In order to document OSI-SAF's impact and enable ongoing support of OSI-SAF, you are obligated to acknowledge OSI-SAF in your work. Therefore, if you wish to use any material presented here please read this file.